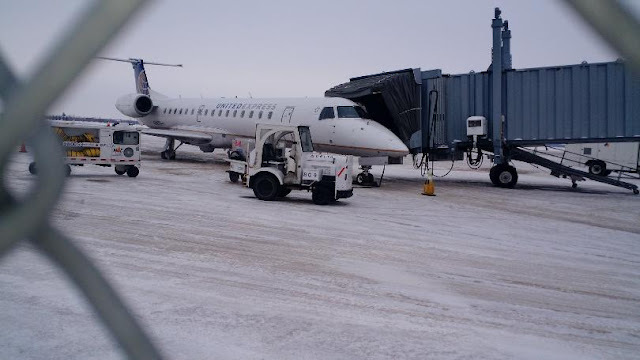 FARGO — The takeoff of a United Express commuter jet flight to Denver from Fargo was safely aborted Monday, Jan. 9, after the plane blew two tires, a Hector International Airport spokesman said. About 6:30 a.m., United Express Flight 4629, a 50-passenger Embraer 145, was rolling down the runway for takeoff when two right rear tires blew on the landing gear, said Airport Authority Executive Director Shawn Dobberstein. The crew then aborted the takeoff and returned to the gate, he said. No one was hurt, he said. "It does happen. It's not frequent, but it does happen on occasion," Dobberstein said of tire blowouts. Flights are being found for passengers on board with Delta, American or United, "wherever they have the space available," Dobberstein said. That could be complicated because a winter storm is dumping heavy snow on Denver, and the same storm could affect flights out of Chicago and Minneapolis Monday afternoon and evening, he said. He urged airline passengers to monitor their flight schedules and be in contact with the airlines on which they've booked flights. Dobberstein said operations are continuing normally at Hector International, though the runway was closed down for about 20 minutes as airport crews searched for and removed debris from the mishap, and swept the runway to prevent other planes from being affected by foreign object damage. Dobberstein said the United Express jet is still being repaired and the cause of the mishap is under investigation. HOUSTON — A Houston woman is suing an aviation business, alleging violation of workers compensation acts in failing to pay overtime. Mary L. Thomas, individually and on behalf of others similarly situated, filed a class action complaint Dec. 13 in the Houston Division of the Southern District of Texas against Huntleigh USA Corporation, alleging violation of the Fair Labor Standards Act. According to the complaint, Thomas, a passenger service agent, was compensated below the minimum wage for all work she performed and was denied overtime wages. The plaintiff alleges Huntleigh USA did not pay wages for uninterrupted meal breaks and refused to pay overtime. Thomas seeks trial by jury, an order certifying this case as a collective action, all unpaid wages, liquidated damages, attorney fees, court costs and expenses and all other equitable relief. She is represented by attorney Trang Q. Tran of The Tran Law Firm in Houston. Algirdas Barteska was convicted for people smuggling. A pilot attempted to drop off a family of illegal Albanian migrants but was thwarted on the runway, a court heard as a judge warned British airfields are “defenceless” against people smugglers. Algirdas Barteska, a former flying instructor from Lithuania, was arrested on June 24 last year after Border Force personnel were forced to chase him down a runway as he tried a daring ‘drop and run’ mission involving three Albanian migrants at a private member’s flying club in Seething, Norfolk. As Border Force staff attempted to prevent the 60-year-old trafficker from escaping, Barteska continued with his takeoff procedure undeterred, forcing his pursuers to bang on the cockpit window in order to bring the Cessna light aircraft to a halt. Once detained, Barteska was found carrying €5,000, which he claimed had been his payment from the family for smuggling them into Britain from Germany. Presiding, Judge Stephen Holt sentenced Barteska to six years imprisonment, adding that his crimes fell into “the more serious category” and should be considered a deterrent to others planning similar operations. “Small airfields, particularly in Norfolk are just defenceless,” he added. The airfield’s staff were originally alerted to Barteska’s activities earlier last year, after he was seen by a member of the public making two test flights to the airfield in May. Records of the plane were logged and an alarm was later raised when its transponder showed that it had reentered British airspace on June 24, after departing Dinslaken in Germany with the Albanian family. It later emerged that Barteska had filed a flight plan to Nottingham airport but had made no mention of his passengers. 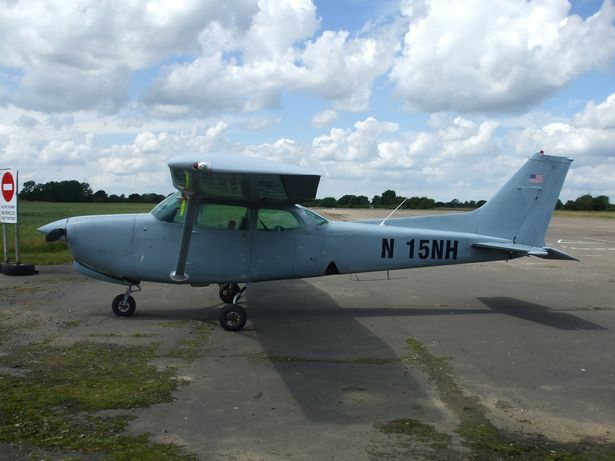 When questioned at Norwich Crown Court yesterday, Barteska said he had been hired to fly the family to the UK in his employer’s Cessna because they had been interested in buying the light aircraft, adding that he had been forced to make an unscheduled landing in order for the mother and daughter to use the airfield’s toilet facilities. 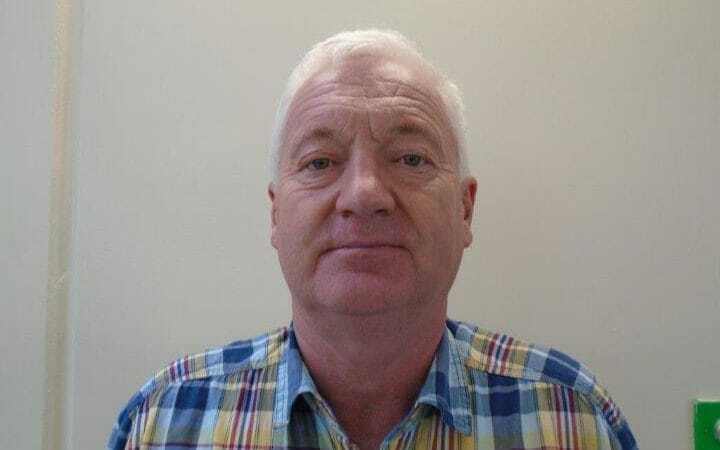 He also claimed that he was unaware that his passengers were not permitted to land in the UK, adding that he was attempting to takeoff in order to complete his flight to Nottingham. However, a jury took just over two hours to return a guilty verdict for three counts of assisting people smuggling, which Barteska will serve concurrently. Asked whether British authorities were working to arrest Mr Tieder - whose Cessna light aircraft was registered to a US trust company - prosecutor John Farmer said that his whereabouts were currently unknown, but that steps were being taken to uncover his location. Commenting on the case, Adam Hutton, chief immigration officer in Immigration Enforcement's Criminal and Financial Investigations Team, said: "Barteska has 43 years flying experience. "It stretches credulity to believe that someone with such a background could genuinely believe he was entitled to bring three people into the UK without establishing whether they had the right to enter the country. "The reality is that he agreed to deliberately try to circumvent the UK's immigration controls in exchange for money. "Barteska's offences struck at the very heart of immigration control and his conviction today sends a clear message that this kind of criminality will be severely dealt with." 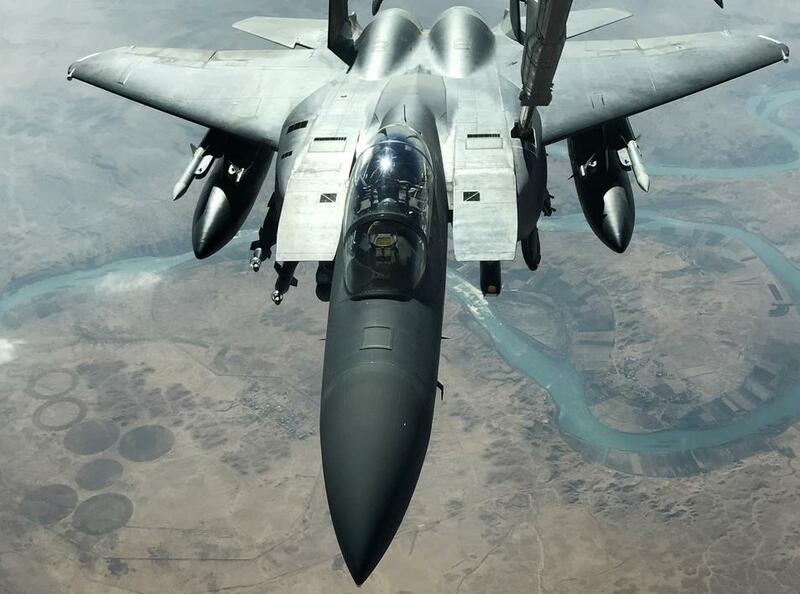 A U.S. F-15 Strike Eagle fighter flies over the Euphrates River in Iraq. One night this past fall, a U.S. radar plane flying a routine pattern over Syria picked up a signal from an incoming Russian fighter jet. The American crew radioed repeated warnings on a frequency universally used for distress signals. The Russian pilot didn’t respond. Instead, as the U.S. plane began a wide sweep to the south, the Russian fighter, an advanced Su-35 Flanker, turned north and east across the American plane’s nose, churned up a wave of turbulent air in its path and briefly disrupted its sensitive electronics. A Russian Su-35 Flanker fighter shadows U.S. F-15s as they refuel over Syria in September. 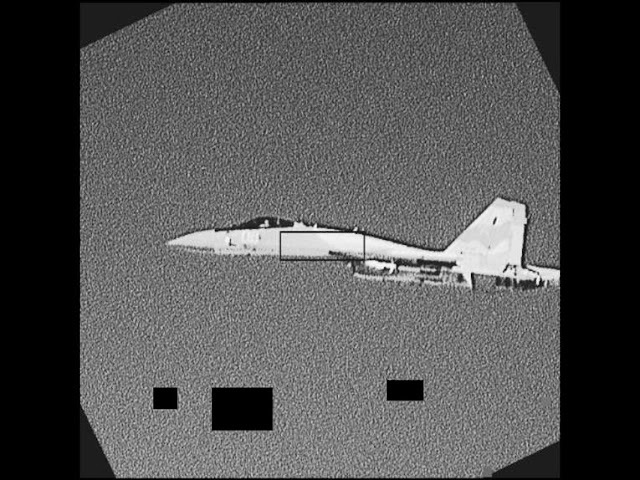 The photo, taken by a camera on one of the American planes, shows the Russian pilot far closer than the three-mile safety limit set in a 2015 U.S.-Russian agreement. “We assessed that guy to be within one-eighth of a mile—a few hundred feet away—and unaware of it,” said U.S. Air Force Col. Paul Birch, commander of the 380th Expeditionary Operations Group, a unit based in the Persian Gulf. The skies above Syria are an international incident waiting to happen, according to American pilots. It is an unprecedented situation in which for months U.S. and Russian jets have crowded the same airspace fighting parallel wars, with American pilots bombing Islamic State worried about colliding with Russian pilots bombing rebels trying to overthrow Syrian President Bashar Al-Assad. Russian warplanes, which also attack Islamic State targets, are still flying daily over Syria despite the recent cease-fire in Moscow’s campaign against the anti-Assad forces, according to the U.S. Air Force. The U.S. and Russian militaries have a year-old air safety agreement, but American pilots still find themselves having close calls with Russian aviators either unaware of the rules of the road, or unable or unwilling to follow them consistently. Complicating the aerial traffic jam, the Russian planes don’t emit identifying signals, flouting international protocols. The Russian Ministry of Defense didn’t respond to written requests for comment on the actions of Russian pilots over Syria. The aerial anxiety adds to bilateral tensions between the U.S. and Russia, already rising over Moscow’s increasingly assertive role in propping up Mr. Assad, its alleged interference in the U.S. presidential campaign and its earlier seizure of Crimea. In this environment, American commanders worry that a collision could become a flash-point. In 2015, U.S. and Russian commanders signed a four-page memorandum of understanding intended to keep their warplanes from crashing into each other or shooting each other down. Now senior military officials at the Pentagon are pushing to boost the communications and coordination between the two militaries. Under the proposal, three-star generals at the Pentagon would routinely discuss Mideast operations with their counterparts in Moscow. One impetus for the Pentagon effort is the belief that President-elect Donald Trump may want to increase cooperation with Moscow in the region, senior military officials say. 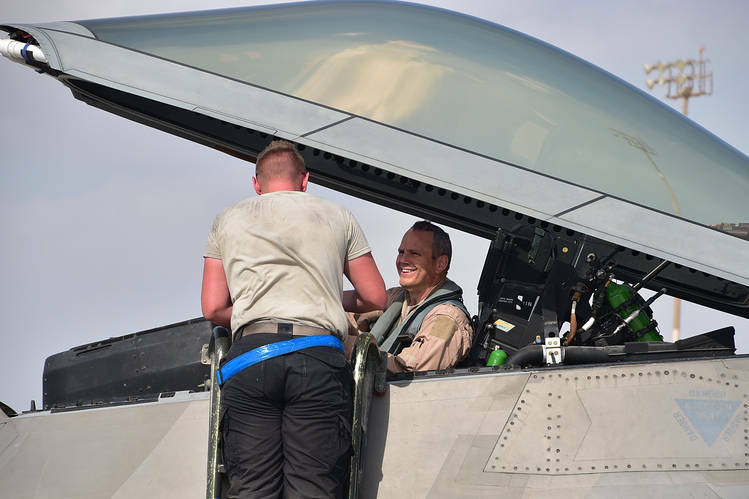 For the moment, day-to-day efforts to avoid a midair catastrophe go through Col. Manning, a Russian speaker who works out of Al Udeid air base in Qatar. Col. Manning has three scheduled calls a week with his Russian counterpart, a colonel based in Syria, to clear airspace for both militaries’ operations. Most weeks they have impromptu talks daily. When combat operations are especially intense, the two colonels might talk 10 times a day, as they did last month, when U.S. aircraft destroyed 168 tanker trucks delivering oil for Islamic State. In addition, a senior Pentagon civilian leads a video teleconference on Syria every six to eight weeks with her Russian counterpart. 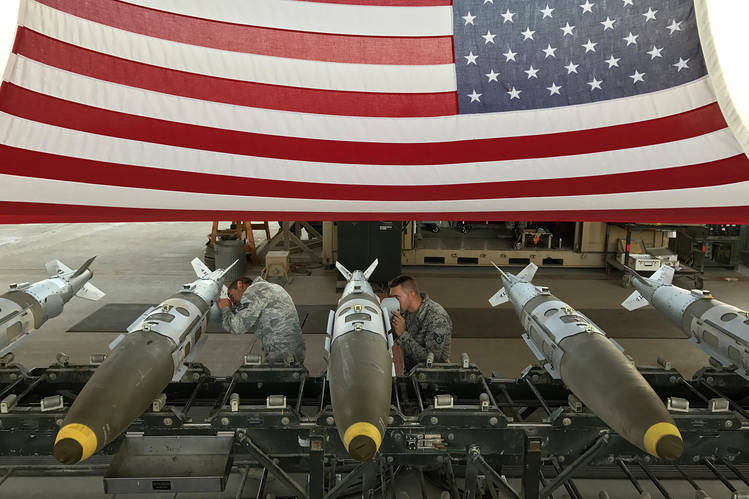 Air Force technicians at a Persian Gulf base prepare 1,000-pound bombs for airstrikes against Islamic State. One of the most serious mishaps so far was caused by the U.S. In September, an American airstrike intended to hit Islamic State militants in Deir Ezzour, Syria, killed dozens of Syrian government troops instead. The incident highlighted vulnerabilities in the colonel-to-colonel hotline. The day of the strikes, Col. Manning was away from the Qatari base that houses the American air operations center. After the strikes began, a Russian officer called on the hotline and asked to speak to another U.S. colonel he knew. That American wasn’t available. The Russian hung up, and 27 minutes passed before the Russians called back to warn the Americans they were bombing the wrong target, according to U.S. defense officials. Col. Manning said the current coordination efforts are making the war safer. But things look different from the cockpit, and U.S. pilots say the Russians sometimes seem to be pushing the limits just to see if they can get away with it. It’s a situation further complicated by the soup of aircraft conducting combat missions, including Americans, Russians, Syrians, Australians, Britons, Danes, Turks, Emiratis, Saudis and Jordanians. On any given day, there are usually 50 to 75 manned and unmanned coalition aircraft over Raqqa, the Islamic State stronghold in Syria, and another 150 or so over heavily contested Mosul, Iraq, according to one U.S. radar officer. The 64-member coalition—Russia is not a member—had conducted more than 51,500 sorties against Islamic State, two-thirds of them by U.S. aircraft, as of mid-December. The 2015 agreement between the U.S. and Russia led to negotiation of what Americans call the “rule of threes.” Pilots should keep at least three nautical miles of separation horizontally, or 3,000 feet vertically. Should they get closer, they’ll remain for no more than three minutes. “We’ve agreed to coexist peacefully,” said Gen. Corcoran. But the Russians are prone to ignoring the conventions of air safety, according to the American pilots. Planes world-wide carry transponders that emit a four-digit code allowing air-traffic controllers to identify them, a practice called squawking. Russian planes over Syria don’t squawk, and they appear as an unidentified bleep to allied radar installations. Nor do the Russians usually answer “guard calls,” urgent summons on a common emergency radio frequency. In one eight-hour shift on Dec. 11, for instance, the crew of a U.S. radar plane, called an AWACS, made 22 such calls to some 10 Russian planes and received not a single response. A few of the Russians approached within five miles of allied aircraft. The controller aboard the AWACS scattered U.S. planes to keep them clear of the Russians. “We’ve had several co-altitude incidents,” the officer said, referring to planes flying too close together. Russian pilots have sometimes broken their silence when contacted by a female air-traffic controller. In early September, a female U.S. air-surveillance officer spotted an unidentified plane approaching allied aircraft over Syria. “You’re operating in the vicinity of coalition aircraft,” she warned the pilot. Brig Gen Charles Corcoran, commander of the 380th Air Expeditionary Wing, returns from a bombing mission. “Some of the closest calls I’m convinced they don’t know we’re there,” said Gen. Corcoran. That’s not always the case. In September, an Su-35 shadowed an American F-15 fighter as it ended a bombing run over Syria and pulled up to a tanker plane to refuel. The U.S. pilot filmed the Russian running alongside the American planes, about a mile-and-a-half away, said Col. Birch. At times, Russian planes plow through tightly controlled groupings of allied aircraft over Raqqa. Russian bombers, flying to Syria via Iran, have crossed Iraq and disrupted allied flight patterns over the battlefields of Mosul. Lt. Col. August “Pfoto” Pfluger, a stealth-fighter pilot, witnessed such an incident over Iraq in August. He compared the Russians’ behavior to jumping out of the stands at a professional football game and bolting onto the field. “You just don’t do that,” he said. —James Marson and Noam Raydan contributed to this article. The pilot reported that he attempted to start the airplane but that “the starter did not engage the flywheel.” He affirmed that he turned off the master switch and exited the airplane. He reported that he was alone when he pulled the propeller through, and the airplane started. The unoccupied airplane rolled across the tarmac and collided with the empennage of a parked airplane. Substantial damage was sustained to the left wing spar. The pilot’s failure to secure the airplane before pulling the propeller through, which resulted in the airplane rolling and subsequently colliding with a parked airplane. The pilot reported that he attempted to start the airplane but "the starter did not engage the flywheel." He affirmed that he turned off the master switch and exited the airplane. He reported that he was alone when he pulled the propeller through and the airplane started. The unoccupied airplane rolled across the tarmac and collided with the empennage of a parked airplane. Substantial damage was sustained to the left wing spar. N452WN SOUTHWEST AIRLINES FLIGHT SWA3356 BOEING 737 AIRCRAFT ON CLIMBOUT, SUSTAINED MINOR DAMAGE TO PASSENGER WINDOWS FROM A BIRDSTRIKE, NO INJURIES, LOS ANGELES, CALIFORNIA. The solo student pilot reported that, during his ninth landing of the day, the nose gear collapsed, and the left wing dipped down striking the runway. Subsequently, the airplane exited the runway to the right. The Federal Aviation Administration inspector who responded to the accident reported that the distance from the first point of impact to the final stopping point was about 320 ft. He added there were indications that the right aileron and wing tip contacted the runway first. There was also a sheared nose gear hub pin/bolt found 35 ft from the initial point of impact. There were multiple impact points along the debris path, and the second point of impact was the left wing tip, indicated by the blue-and-white paint markings from the wing tip on the runway. The third impact was the airplane’s nosewheel assembly. The runway showed markings left by the tire on the surface for about 20 ft. The markings also indicated an extreme side load on the tire. The wheel/tire hub assembly was found at the end of the tire mark with one of the nose strut forks. Additionally, there were seven gouges in the runway surface from the propeller striking the ground. The airplane sustained substantial damage to both wings and the firewall. The student pilot reported that there were no preaccident mechanical failures or malfunctions with the airframe or engine that would have precluded normal operation. The weather observation station at the accident airport reported that, about the time of the accident, the wind was 220° at 14 knots, gusting to 20 knots. The student pilot landed on runway 28L. The student pilot’s improper landing flare in gusting crosswind conditions, which resulted in a hard landing. The solo student pilot reported that during his 9th landing of the day, the nose gear collapsed, and the left wing dipped down striking the runway. Subsequently, the airplane exited the runway to the right. The Federal Aviation Administration (FAA) Inspector who responded to the accident reported that the distance from the first point of impact to the final stopping point was approximately 320 ft. He further reported there were indications that the right aileron and wing tip contacted the runway first. There was also a sheared nose gear hub pin/bolt found 35 ft. from the initial point of impact. There were multiple impact points along the debris path, and the second point of impact was the left-wing tip, indicated by the blue and white paint markings from the wing tip on the runway. The third impact was the airplane's nose wheel assembly. The runway showed markings left by the tire on the surface for about 20 ft. The markings also indicated an extreme side load on the tire. The wheel/tire hub assembly was found at the end of the tire mark with one of the nose strut forks. Additionally, there were 7 gouges in the runway surface from the propeller striking the ground. The student pilot reported there were no pre-accident mechanical failures or malfunctions with the airframe or engine that would have precluded normal operation. The weather observation station at the accident airport, about the time of the accident, reported the wind at 220 degrees (true) at 14 knots, gusting to 20 knots. The student pilot landed runway 28L. On January 7, 2017, at 1506 eastern standard time, a Mitsubishi MU-2 airplane, N48NP, departed the left side of the snow covered runway after landing at Jerry Tyler Memorial Airport (3TR), Niles, Michigan. The private rated pilot was not injured and the airplane sustained substantial damage. The airplane was registered to and operated by a private individual under the provisions of 14 Code of Federal Regulations Part 91 as a personal flight. Visual meteorological conditions prevailed at the time of the accident and the flight was operated on an instrument flight rules (IFR) flight plan. The flight departed Smyrna Airport (MQY), Smyrna, Tennessee, and 3TR was the intended destination. The pilot stated that he did not find any Notice to Airmen (NOTAMs) concerning the runway not being plowed. The pilot was cleared for the RNAV 33 approach to 3TR. When the airport was in sight, the pilot circled over the runway and activated airport lights in order to clearly identify the runway. The landing was uneventful until the pilot retarded the power levers into beta range and the airplane made an unexpected left turn then exited the runway. The airplane spun and came to rest in the snow covered field on the left side of the runway. The airport snow plow operator stated that he checked the runway conditions on the morning of the accident and noted a light dusting to ½ inch of snow in some areas, but the pavement was still visible. He left town and returned about 1530 at which time he heard about the accident and observed two or more inches of snow on the runway. At 1454, the automated weather observation station at South Bend International Airport (SBN), South Bend, Indiana, located about 9 miles south of the accident site, recorded: wind from 250 degrees at 14 knots, 6 statute miles visibility, haze, clouds overcast at 3,700 ft, temperature 12°F, dew point 5°F, and a barometric pressure of 30.47 inches of mercury. Remarks: unknown precipitation began at 1428 and ended at 1438; snow ended at 1428. How did Cincinnati/Northern Kentucky International Airport finally get Southwest? Southwest Airlines managing director of business development Dave Harvey delivers remarks at the announcement of Southwest Airlines beginning flights out of the airport, Wednesday, January 4, 2017. Eight flights, five to Chicago and three to Baltimore, are scheduled to begin June 4, 2017. Southwest Airlines has nabbed flight commitments from at least one of Cincinnati's nine Fortune 500 employers and expects to win business from all of them once it begins flying from Cincinnati/Northern Kentucky International Airport in June. The Dallas-based low-cost airline has been courted by local airport and development officials for years. But last week, Southwest officials said the spending pledges from local business leaders helped seal the deal. A network of local mid-size businesses also promised to spend at least $800,000 in the next two years with Southwest if it landed at CVG. 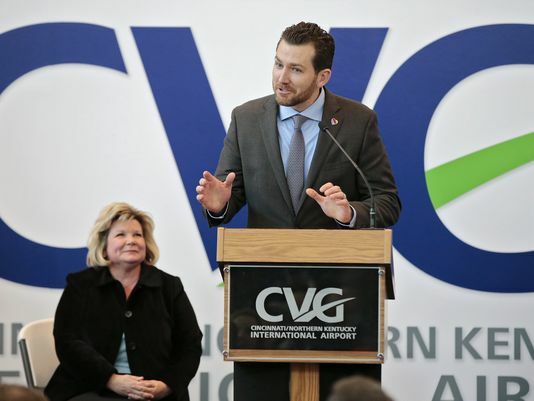 David Harvey, Southwest's managing director of business development, said the commitments by local companies were enough to assure his airline that it could establish a viable business at CVG. Harvey said the team effort by local companies clamoring for services was very persuasive, and that the airline has watched the region's growth and economy for years..
"Some of the larger companies committed to fly with us and we hope to have deals with all these employers," Harvey said, declining to name which Fortune 500 had signed on or how many flights the firm agreed to book. "It was the right time make a commitment to start flying – the strong collaboration by business wasn't there before. "It was our largest missing dot in our map of the lower contiguous 48 states. Our customers were telling us to go directly in to Cincinnati." On Wednesday, Southwest announced it would launch daily service to Chicago and Baltimore from CVG starting June 4. Flights will depart five times a day to Midway Airport in Chicago and three times a day to Baltimore. Southwest expects to end service at Dayton International Airport and Akron-Canton Airport. By coming to Cincinnati, Southwest also has an opportunity to win a bigger share of flying dollars from local companies such as Procter & Gamble, Kroger, Macy's and Fifth Third that have operations elsewhere, Harvey said. Southwest could expand its local service to other direct routes based on ultimate destinations of fliers, he said. "We're optimistic for the future," Harvey said. "We're the largest domestic carrier and many people here are already flying with us occasionally," Harvey said. Southwest didn't have to venture far from CVG airport to speak with heavy hitters in the business community. The chairman of the airport board is Michael Schlotman, whose day job is chief financial officer at supermarket giant Kroger, the region's largest company ranked by revenue. Schlotman said Kroger would likely take advantage of Southwest's services to reach its western subsidiaries such as Fred Meyer, which is based in Portland, Oregon. He said Kroger personnel now mostly fly through Seattle or Salt Lake City to reach Fred Meyer. “This will be easier and probably less expensive,” Schlotman said. While large companies began serious private talks with Southwest, 80 mid-size employers also pledged to spend $10,000 apiece by 2019 with the airline to demonstrate the depth of support for the additional service, said Gary Lindgren, executive director of both the Cincinnati Business Committee and the Cincinnati Regional Business Committee. The Cincinnati Business Committee represents the region's largest employers, but the Cincinnati Regional Business Committee is made up of the area's mid-cap companies that generally do at least $50 million in annual revenues. "We're fortunate to have tremendous group of both large and midsize companies that together will make Southwest successful in Cincinnati," Lindgren said. Airport and development officials say Southwest's announcement caps an intense, nearly two-year courtship of the airline. Attracting more low-cost carriers to fly out of CVG is a top economic development priority for the business community and airport leaders. CVG chief executive Candace McGraw credited business leaders and development officials for landing the airline. The coordinated effort put Southwest officials into direct contact with decision makers at the region's top companies to talk specifics about flying needs. Jill Meyer, president and CEO of the Cincinnati USA Regional Chamber, said the business coordination efforts was needed to close the deal. "It took a village," McGraw said, crediting local economic development agency REDI Cincinnati, the chamber and other local business groups for their efforts. "When you have lots of great companies coming together is a chorus, it's hard to ignore," Meyer said. Southwest is giving the region more than just additional service to two cities. With the new airline, Cincinnati is plugging into Southwest's service network from two of its busiest airports. Local fliers will have dozens of more options flying westward via Southwest from Chicago and to the East Coast from Baltimore. "They're the largest domestic carrier in the U.S. and now we have them here," McGraw said. Grabbing Southwest in CVG is a major feat, given the airport's historic status as a "fortress hub" of Delta Air Lines. For decades, the region's dominant carrier chased off low-cost competitors by matching their fares on overlapping routes until their rivals gave up. Southwest's past business model also worked against CVG. Historically, Southwest would service a major metro market by flying out of peripheral airports, such as serving Greater Washington, D.C. out of Baltimore or Boston out of Manchester, New Hampshire. For years, Southwest has flown Cincinnatians out of Dayton, Louisville and Indianapolis. "Competition is fierce, many businesses can be located anywhere in the world and we have to complete with Atlanta, Dallas, Nashville and Chicago," said Johnna Reader, president of regional economic development agency REDI. "Air service is imperative. You can't compete with the bare minimum. At the end of the day, it's about jobs." Several mid-size businesses said they need to fly frequently to keep up with the pace of their growth. Jeb Head, CEO of local manufacturer Atkins & Pearce in Covington, said he hasn't committed to switching any business to Southwest but can easily envision doing so. His company, which makes everything from candle wicks to electrical sleeving, has a nine-person sales force that is on the road and in the air 200 days a year. While flight costs at CVG have come down in recent years, Head's team frequently has to book pricey last-minute fares to chase sales leads. So Head welcomes more competition with Delta, which handles about 75 percent of his business' flights. "We fly quite a bit, it's a significant expense," Head said. "We're delighted to see more competition because we travel every week all over the country." Scott Farmer, chairman of the Cincinnati Business Committee, welcomed Southwest as a carrier that would help the region's businesses - including his own. Farmer is also CEO of uniform supplier Cintas, which has recently been added to the Standard & Poor's 500 and is close to becoming the region's next Fortune 500 company. "It will be a very easy decision to move some of our people to their flights," Farmer said. "Our people love flying on Southwest. They are low cost, provide good service and they are on time. The more we improve air service, the more productive businesses can be and generate more sales." An Emirates flight from Dubai to Muscat was cancelled after baggage handlers discovered a snake in the aircraft’s cargo hold.The animal was found before Sunday’s flight from Dubai International, the airline said in a statement, adding that the aircraft was returned to service after being thoroughly searched. “Flight EK0863 from Muscat to Dubai on 8 January 2017 was cancelled due to a detection of a snake in the cargo hold prior to passengers boarding. Engineering and cleaning teams are working to clear the aircraft to re-enter service. We apologize for the inconvenience caused,” a spokeswoman said. First class passengers on an Aeromexico flight in November were confronted by a snake that fell from an overhead storage compartment. Nobody was hurt in the incident but a few passengers were rattled. Northern Ireland’s only direct, scheduled daily air service to the United States will end on Monday as United Airlines grounds the flight because of its “poor financial performance”. The service, operated by United Airlines from Belfast International Airport (BIA) to Newark since 2005, had according to the airport been well supported and carried more one million passengers. The airline will operate its final flight from Belfast on Monday. Management at BIA have blamed the European Commission for “killing off” the service after it launched an investigation into a multi-million pound financial support package, estimated to be worth more than £9 million, that had been agreed last summer by the North’s Executive to safeguard the route. Under EU state rules public authorities are not allowed to grant a specific airline an “undue advantage”. Local business and tourism chiefs have warned that the absence of a direct US service from Northern Ireland could put it at a disadvantage and leave tourists, businesses and potential investors with no other option on the island but to travel to Dublin airport to access US flight services. BIA’s managing director, Graham Keddie is confident that 2017 will prove to be “a bumper year for us despite the decision by United to end its popular trans-Atlantic service”. “We continue to do all with can to fill that gap. We are working closely with Government to deliver a major long-haul project that would open up attractive additional and badly-needed connections,” Mr Keddie said. Latest figures from the UK’s Civil Aviation Authority (CAA) shows BIA is the fifth busiest airport in the UK for domestic passenger traffic. According to the CAA ‘league table’ of forty-seven UK airports the four airports ahead of Belfast International Airport are Heathrow, Gatwick, Edinburgh and Glasgow. Last year BIA grew by more than 17 per cent as more than 5.1 million passengers travelled through the facility. According to Mr Keddie it is on target to achieve a new record of 5.4 million in 2017. “We could do much more with the right supports. Air Passenger Duty is a considerable disadvantage not only to our airports, but to Northern Ireland as a region. If it disappeared, we could transform inbound tourism, leading to further significant investment along with the creation of thousands of jobs. Getting rid of this impediment is, in my view, a no-brainer,” he added. Lindsey, though, despite serving in the Navy for 23 years, was just as apt to describe himself as a servant of God, said the Rev. Jane Stanley of The Nourishing Place in Gulfport. He served the church, and through it, the low-income community surrounding it on Tennessee Street in Gulfport. “He cooked for us for a number of years,” she said. “We serve a hot breakfast every morning before and after church and he was our chef for probably six or seven years and then he became a helper of the chef. And he a was great advertisement. The church has a back porch where people in need can come for free food, clothing and household items. But before he became a servant of The Nourishing Place, he served his country as a Navy aviator, narrowly avoiding death three times. His daughter Gwen Lindsey shared his first-hand accounts of those harrowing flights. 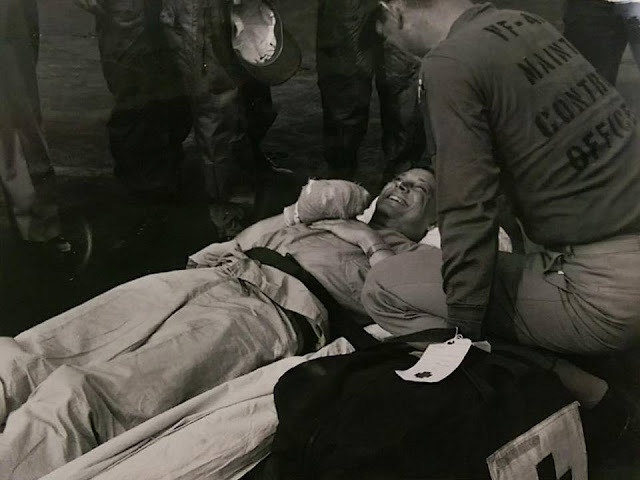 “In his Navy career as a fighter pilot, Austin holds a rare record of having had three potentially deadly aircraft accidents, the first while flying an F4-A and performing a night landing on an airstrip in Florida,” she wrote on the Reimann Family Funeral Homes Page. The next two flights were in Vietnam. As a member of Fighter Squadron VF-1, the “Black Aces,” he was trying to land on the USS Independence, when a hydraulic pump failed and his landing gear wouldn’t lower. On his last combat mission, his aircraft was hit by enemy fire over Laos on Oct. 25, 1965. This was how he described it in 2012, when he was 82. “We dropped our WWII 250 pound, fragmentation bombs over the Ho Chi Minh trail and as we were climbing out my aircraft was hit and decided not to cooperate any longer,” he wrote. “The cockpits began filling with smoke so my NFO jettisoned his canopy. With it gone, suction pulled flames out from under his seat, so he ejected. “Now it gets heavy. The flames came around me and burned my face and hands. I pulled my seat’s face curtain to eject but nothing happened. I then pulled the seat’s secondary firing handle without results. I next pulled the canopy jettison handle but it wouldn’t move. “I was not too functional at this time and I thought about the end. But, the canopy left and the seat operated normally, my chute opened and I could see the trees getting closer — and down I went into the foliage. My chute caught up in the top of a tree and my feet landed on a limb next to the main trunk. I disconnected from my chute and sat down on the limb. He received several commendations including two Distinguished Flying Crosses, the second as a Gold Star to the first and an Air Medal for six strikes in July-October 1965, and a Navy Commendation Medal with a Gold Star and a Combat V, and a Joint Service Commendation, Gwen Lindsey wrote. After he retired from the Navy, he returned to Gulfport, where he had graduated from high school. After that graduation, he served in the Merchant Marines for two years, then earned a bachelor’s degree in psychology from Tulane. He married Shirley Thompson Lowe in New Orleans and raised two daughters, Gwen Christin Lindsey and Diane Robin Lindsey Keith. He took up photography and post card collecting. Some of his photos can be found at Triplett-Day Drug Co. and the Port City Cafe in downtown Gulfport. He will be buried with military honors at 11 a.m. Monday at the Biloxi National Cemetery. Read more about his life here and here. LOUISVILLE, Ky. (AP) - A regional initiative that helps veterans find jobs in the greater Louisville area is partnering with the Kentucky Air National Guard’s 123rd Airlift Wing to help its members transition out of the military. The initiative, called Where Opportunity Knox, is hosting a recruiting and information booth for members of the Airlift Wing one weekend a month and office hours throughout the month. The dates have not been specified. The goal of the initiative is to connect 10,000 transitioning Veterans and military spouses to jobs in the Greater Louisville region by the end of 2017. Where Opportunity Knox is funded by the Duke Energy Foundation, the Gheens Foundation, the James Graham Brown Foundation and the Ogle Foundation. For more information, visit: http://whereopportunityknox.com.